Now what? Zoo With Pap?! We will miss you here in Philly! God Bless ya Doc! 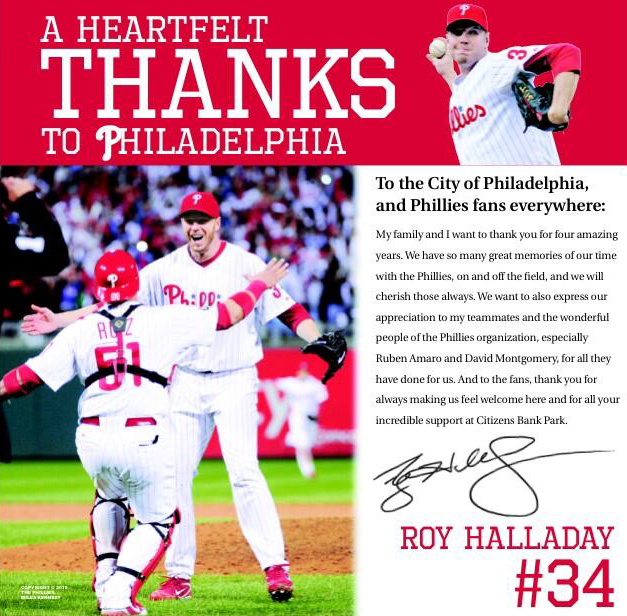 You are a all-star and a favorite in philadelphia and will be missed! Have a great life and I was blessed to have such a talented pitcher on my home team! I thank you so much and good luck!